It’s a week of celebrations, anniversaries, and outdoor festivals, ranging from the Bayfront Blues Festival in Duluth, to the Minnesota Bluegrass and Old Time Music Festival in Richmond, to the Irish Fair on Harriet Island in Saint Paul. There are more, including music in the parks, but you’ll have to search newspapers or the internet to find them. Have a great week. Retro Sister Swing @ Jazz Central, Minneapolis. 8pm – 10pm. (Donation) Vocalists Rhonda Laurie and Maryann Sullivan have tweaked the name of their aggregation, but the sound remains the same – well done, swinging standards. Southside Aces 10th Anniversary Party @ The Eagles Club #34, Minneapolis. 8pm Traditional New Orleans jazz. As if that couldn’t be enough of a party, the Aces are celebrating their tenth anniversary. Illicit Sextet CD Release Party @ The Artists’ Quarter, Saint Paul. 9pm ($12) This six-piece aggregation plays nothing but original tunes, which tend to be inspired by hard bop, bebop, and mainstream jazz. 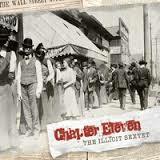 They’re a tight outfit, and their new CD “Chapter Eleven,” deserves to be played on every jazz station in the nation. Chris Speed Trio @ Dakota Late Night, Minneapolis. 11:30pm ($5) This Brooklyn via Seattle reed player has been in the forefront of adventurous music for a couple of decades now. His groups cover a wide range of music, from Balkan inspired jazz, to chamber and ambient music. Lately, he’s been playing with the Dave King Trucking Company. King will be playing drums with Speed for this engagement, along with Chris Tordini on bass. PipJazz @ The Landmark Center, Saint Paul. 4pm ($10) Blues singer Barbara LeShoure is Pippi Ardennia’s guest today. Graduating members of the PipJazz Youth Orchestra will also be celebrated. For a more comprehensive listing of Jazz, go to the Twin Cities Live Jazz Calendar. 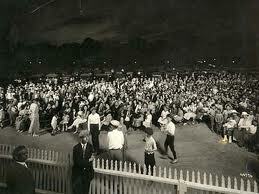 For further commentary on Twin Cities jazz, check out the blogs Jazz Police, Bebopified, and Jazz Ink. Tom Rush @ the Cedar Cultural Center, Minneapolis. 7:30pm ($30,$40) Rush started performing at the blossoming of the folk music boom in 1960, when he was a student at Harvard. He went on to be among the first to record and perform songs by Joni Mitchell, Jackson Browne, and James Taylor, and had his 1968 composition, “No Regret” recorded by the Walker Brothers and Emmylou Harris. More recently, a video of his performance of “The Remember Song” has gone viral, gaining over 6 million views. Here it is. Mauilotus: the Marilyn Allsum Group @ Barton School, 4237 Colfax So, Mpls. 7:30pm ($15 suggested donation) This sounds like a very interesting evening. Marily Allsum, vocals, flute; David Wolfe, Santoor Persian Harp; Mike Hurley, drums, percussion; and Charles Fletcher, bass; bring together both Eastern and Western instruments and styles to create a unique sound. In addition to the aforementioned instruments, they play piano, Chinese Harp, Indian Tablas, Tibetan Singing Bowls, African Udu (drums) and other instruments to create unique acoustic music. Charlie Lawson’s Mystery Combo @ Palmer’s Bar, Minneapolis. 9pm. (No Cover) Mr. Lawson brings together a number of his blues-playing pals, including Curtis Blake on harp, for an evening of various kinds of blues, from shuffles to rockers. Lowertown Guitar Festival @ Mears Park, Saint Paul. Noon – 10pm (Free) Here’s a new twist on a festival – Ten guitarists in ten different styles, ranging from the fingerpicking of Pat Donahue, to the Brazilian stylings of Joan Griffith, and the cross-genre inventiveness of Dean Magraw, to national artists like Marc Ribot and Scott Henderson. Complete schedule and information here. Marcia Ball @ The Dakota, Minneapolis. 7pm ($35), 9pm ($30) As a pianist, Ms Ball calls on the spirits of Professor Longhair and numerous boogie woogie players. Together with her singing, “Long Tall Marcia Ball” can turn even a joint as classy as the Dakota into a roadhouse. Jerermy Ylvisaker and Hot Rod @ The Black Dog Coffee & Wine Bar, Saint Paul. 8pm, 10pm (tip jar) This show is part of an art opening for an exhibit entitled “This Is Not Your Father’s Radio,” by Robin Rife’. Ylvisaker is one of a group of musicians who have worked with each other in various, always interesting, groups such as Andrew Bird, Dosh, and Alpha Consumer. 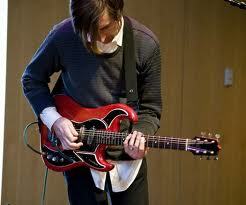 As a guitarist and songwriter, he favors clean lines and memorable melodies. He’ll play solo at 8ish and be joined by Michael Lewis on bass (yes, the saxophonist from Fat Kid Wednesdays), and Adrian Suarez on drums at 10pm. Lakestock @ Lions Park, White Bear Lake. 1pm – 6pm. Here’s a chance to see a number of bands and help support efforts to restore White Bear Lake to its normal levels. Besides a speaker or two, and food and beverages, there will be five bands playing next to Admiral Ds: The Sydney Moore Band, Creedence Clearwater Survival (guess what they play); Billy McLaughlin, The 617 Band, and the newly reunited Free & Easy, the 70s funk band that was inducted into the MN Music Hall of Fame in 2008. Attendees are encouraged to wear 70’s attire. More info here. Get down, get funky, and get informed about water issues. Golden State Lone Star Revue @ The Dakota, Minneapolis. 7pm ($25) Some Texas and California musicians get together to play the blues and have a good time, including Anson Funderburgh (Anson & the Rockets) and Little Charlie Baty (Little Charlie and the Nightcaps) on guitars, Mark Hummel, harp; RW Grigsby, bass; and Wes Starr, drums. Gonna be some hootin’ and hollerin’ tonight. Here’s Hummel on harp.